Speedy turnaround on most repairs. When suits come in for repair we inspect, test, work on them and then test them again before we send them back to you. Turnaround can sometimes be as fast as one day. We offer a full repair and alteration service for our drysuits, with a turn around time of approx 10 working days, at busy times or for batches of suits, it may take a little longer. We also offer a 5 working day Fast Track service for an additional fee of £45 if you're in a hurry. If you're concerned about time frames, give us a call to check. If you'd like us to repair a suit from another manufacturer, please call to see if we can accommodate your repair. We will prioritise the repair of Northern Diver suits so, at busy periods, we may not be able to repair other makes of drysuit. A fast track service is available. Contact us on the telephone number below for more information. Waiting time can vary dependant on our workload. Turnaround can sometimes be as fast as one day. You must call to check on current time frames. How do you get your drysuit repaired? We offer a full repair and alterations service for our drysuits. And now, our Repairs system is online! 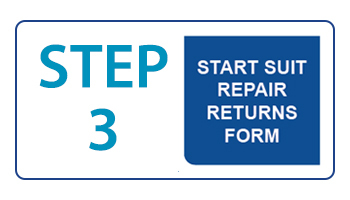 All you need to do is log in to your online account to get started with the 8 Steps to book your repair. First, log in to your online account. Look for the account icon (shown above). If you don't have an online account you'll need to create one. If you've got an online account already and you can't get access, it's easy to reset your password. In your account area, click on the Repairs icon to enter the booking in area. Here you can view, track and manage all the suits you currently have booked in our Repairs Service. Click the blue button to Start Suit Repair Returns Form. 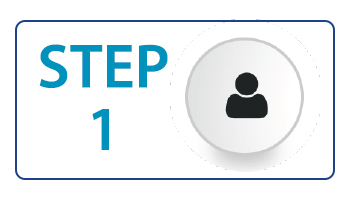 From here, follow the 8 steps to complete your booking. Need help? No problem, online chat or call us if you're getting stuck. We’ve also got a handy guide with step-by-step instructions available here. If you still have questions, please visit the Repairs section of our Frequently Asked Questions. Why should I repair my suit with Northern Diver? In our Appley Bridge Head Office at Northern Diver, we have an entire workshop full of highly trained staff who provide full repair and alteration services to drysuits. All our drysuit alterations and repairs are carried out by our professional repair service to the highest standard. Turnaround is usually within 10 days although a five-day service can be provided at a nominal, Fast Track charge. Leaks? Torn seal? Failing valves? Broken zip? We can repair your drysuit or surface suit so it's good as new. Repairs, additions, replacements, we do it all! From neoprene and latex seals to relocating valves to adding knee pad reinforcement or pockets, you can trust us to provide a great suit service using the latest repairs technology. Replacing; seals, valves, safety boots or socks and zips. Relocating valves and adding blanking patches. Adding; knee pads, seat protection, elbow pads, patches, pockets, knife loops and your company logo or personalised branding. As well as providing pressure testing. We Pressure Test suits first to check them neck to toe and identify the source(s) of any leaks before we begin our Repairs. If you're buying a stock size drysuit from us, we do have custom options available. We know that you may want to make your suit a little different from our standard design so we can add different elements to our off-the-shelf model. We can change the neck, wrists, socks and/or boots; or add pockets, reflective panels and Kevlar® reinforcement in high wear areas. All to suit your specific requirements. The custom tailored options are listed on this page below. Please note: The tailoring options available are dependant on the stock suit you purchase. To check the availability of tailoring options on specific suits, either check the details on the drysuit's page, open an online chat with us, call or email. All prices include VAT. It's Retail prices that are shown, trade prices are available upon request. Please note: Any suits not collected within one month from customer being contacted about collection may be subject to storage fees. 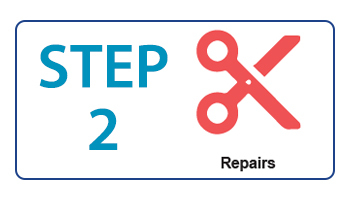 We'll detail all the repairs we've included for you to easily access in your online account. You can either have your suit returned by courier (next day delivery where possible) or collect it from our Appley Bridge shop. What does the Repairs price list include? Our fees include the supply of a single repair part or item (unless otherwise marked), the removal of old items/ parts and the fitting of the new item. Please note: We reserve the right to charge you for cleaning of dirty drysuits you send back to use for repair. See above for all our repair charges. Are Nothern Diver drysuit repairs good? We know our way around a drysuit. We manufacturer robust, resilient and reliable drysuits and we ensure we repair suits with this same level of care. Only genuine Northern Diver parts are fitted to Northern Diver drysuit systems when being repaired. As you'd expect from the Northern Diver brand, all repair and alterations work carried out is of industry leading exacting standards by our highly trained Northern Diver staff. Our prices are competitive, our service is fast and if you're repairing a Northern Diver drysuit with us, you'll receive a preferential price. We're trusted to supply and repair drysuits by clients with the most demanding requirements. We repair drysuits for the MOD, Royal Navy, fire brigades, police, in-shore rescue teams, commercial diving schools and clubs, recreational divers and more. We pride ourselves on our bespoke service and premium quality customer care. We have an enviable reputation of providing a Precise, Thorough and Speedy service. It's why our customers keep coming back and why we've been in this business for over 25 years. We've accumulated a great deal of knowledge and know-how about the correct way to repair a dry suit through our years of experience. So much so, we offer Repair courses and teach many of our partners and distributors our techniques to ensure you receive a Northern Diver quality repair. We encourage you to seek our advice, ask questions and service your suit often - after all, you're the one wearing it! Your repairs will be carried out as requested by you. The prices are approximate and represent the maximum charge per item i.e. the per leak price. Prices can vary on the suit, for any additional work we find during pressure tests, you'll be contacted via an email with an attached quote. You can choose whether to proceed with this work or reject it. The inability to provide an e-mail address will slow down your repair work being processed. We cannot be held responsible for any delays due to being unable to contact our customers. For more information don't hesitate to contact us and we'll see what we can do to help. Do you need a speedy repair doing on your drysuit? We offer a fast track service to ensure the testing and repair or alteration work on your suit is completed in 5 working days or less. 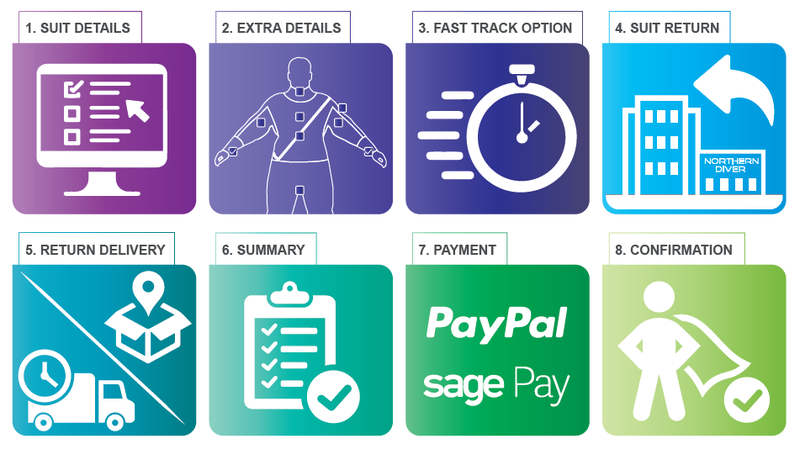 Our Fast Track Service is the time it takes us to repair your suit, it doesn't include courier delivery times. How should I pack my drysuit? Is there anything important I need to know? When you return your suit for repair, it must be clean and dry. This means we need and expect it to be free from mud, dirt and contaminates. The safety of our team is paramount and we won't compromise their health by handling contaminated returned item(s). Please note: we reserve the right to refuse to process your suit if it is dirty when it arrives at Northern Diver. As part of this refusal, we'll either return your item(s) to you immediately or we'll charge you a £25 cleaning fee. Don't crumple your suit or try to stuff it inside too small a box! If you don't pack your suit correctly, you can cause serious damage to the zipper. We recommend that you lay out your suit flat, zip side up. Then starting from the feet, roll your suit up. Once you get to the armpit area, fold in the neck so it tucks under the rolled suit. Fold arm over arm and finish rolling. Following this method means all of the air will be squeezed out of the suit, and the zipper will be resting in a compressed state. Also, the suit will be as small as it will get. Now you can choose the box to package it in. Don't try and force the suit into a smaller box than needed. Remember, it's important that you don't send any suit accessories back to us. Please DO NOT return any storage bags, hoods, hoses etc. While we'll do our best to return any lost items, we can't accept responsibility for any lost items that you return to us unnecessarily. All item(s) (including suits) must be returned in a clean and dry condition. They must be free from mud, dirt and contaminates. We reserve the right to refuse to process items that don't meet these criteria. If a dirty suit is sent to us, we'll either return the item(s) to you immediately or we'll charge you a cleaning fee. This is to ensure the health and safety of our team when handling your returned item(s). This warning doesn't affect your statutory rights. Do you need a yearly certificate and service for your suits? If you've purchased Northern Diver suits, we can provide a dry suit certificate of inspection. We offer a full wet Pressure Test, repair any leaks or faults in the suit, replace seals, zips and knee protection etc and re-test the suit to ensure it's perfect before sending it back. As an additional service, if required, for Northern Diver suits, we can then certificate the suit for your insurance use. If you'd like to make use of this service, please contact us for more details. If you still have questions about repairing your dry suit, don't hesitate to get in touch. You can contact our repairs team direct, email us repairs@ndiver.com or call 01257 25 69 37. (Opening Times : Mon - Fri 8.30am to 5.00pm). Please note: We advise that all drysuit repairs are carried out by a trained and qualified repair technician.